Thank you for making us aware of this matter. We sincerely regret that your experience was not a great one, and want to help make things better. Please contact us at customersupport@empire-today.com with your account information so we can further assist. 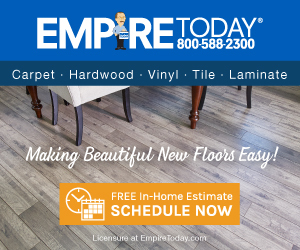 Empire today is the worse floor company around. The original man that started this company is probably turning over in his grave. This company is horrible! ...they lie about everything. The product, sales and service are terrible. I spent over 4k.and the sales people and manager could care less!..do not use empire today! If you do you will be unhappy! Review #894331 is a subjective opinion of User894331.